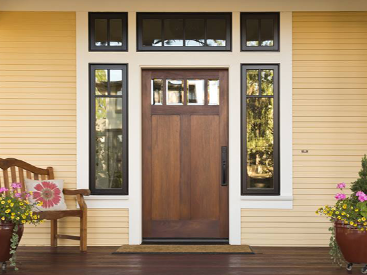 Moisture on the interior of your windows can damage plaster, paint, and wood window sills. If the moisture you see is on the interior of your windows, your best bet is to reduce the amount of moisture inside your home. There are several ways to reduce the humidity. First, if you have a humidifier running, turn it down. You can also use your bathroom and kitchen fans when you cook or shower. Using your ceiling fans to keep the air circulating can reduce condensation by more evenly distributing the moisture. (In the winter, make sure your fans are rotating in a clockwise motion to push warm air off the ceiling and back down to the living area.) 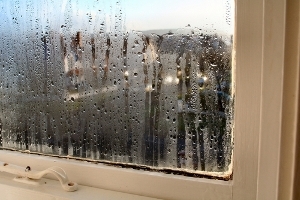 Opening your windows occasionally, when it’s not too cold, can help moisture escape as well. Plants create moisture too, so move any plants away from your window to another part of the room. Using storm windows can help reduce condensation on your interior windows because the space between the two windows acts as a buffer allowing the interior window to stay warmer. Adding weather stripping can also help reduce condensation if you’re using storm windows during the winter months. Also, window insulation kits, when installed on the inside, can prevent interior condensation. 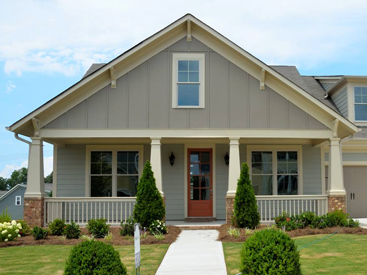 Moisture on the outside of your window is really more of a nuisance than anything else. It is simply condensation and it will evaporate once the window warms up. Usually, the heat of the sun will take care of it by mid-morning. If it impedes your view or really bothers you, one simple trick is to apply a rain guard product like the ones you use on your windshield. It helps the droplets gather together and run off with the help of gravity. If you have moisture between your window panes, call Blue Springs Siding and Windows for a free consultation at (816) 228-5225. 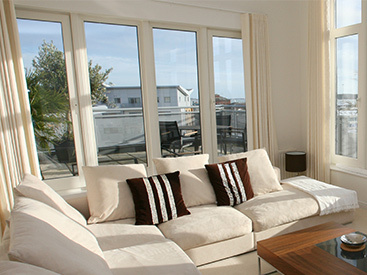 If you’d like to learn more about replacement windows, click on this link for a Free Guide to Choosing the Best Replacement Windows.